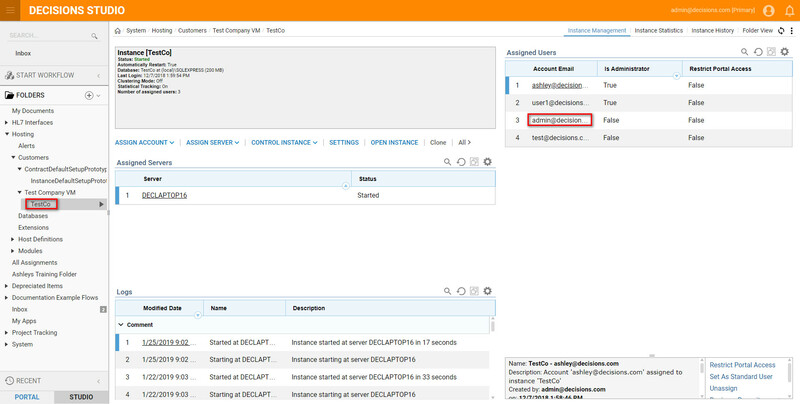 In a Multi-Tenant environment link the accounts easily to give access to the control instance. Accounts that are not linked will only give access to the tenant customer. Follow the example below to link accounts and create a brand new tenant. After an account is linked or a tenant created, you can view the new account or newly created tenant. This demonstrates how to link an existing account to a tenant. Navigate to the customer right click choose Add User Account	and then select Link Account. In the next window, Add Account Reference	, select Pick	and then choose the account that you want to link. On a control instance, view the linked account. 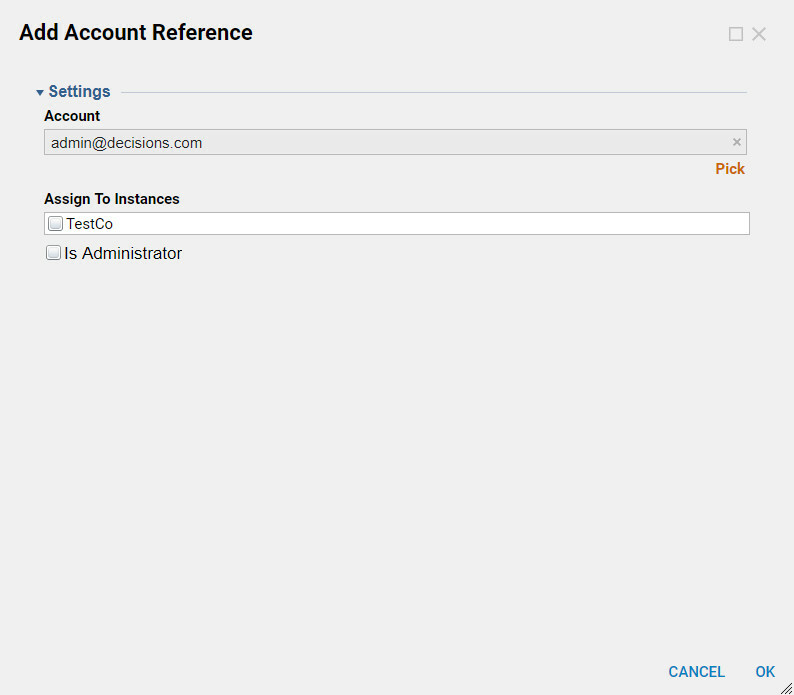 Start by navigating to the instance the account has been assigned to. In this case, select Test Co and view the instance. Create a brand new account specific to the tenant. 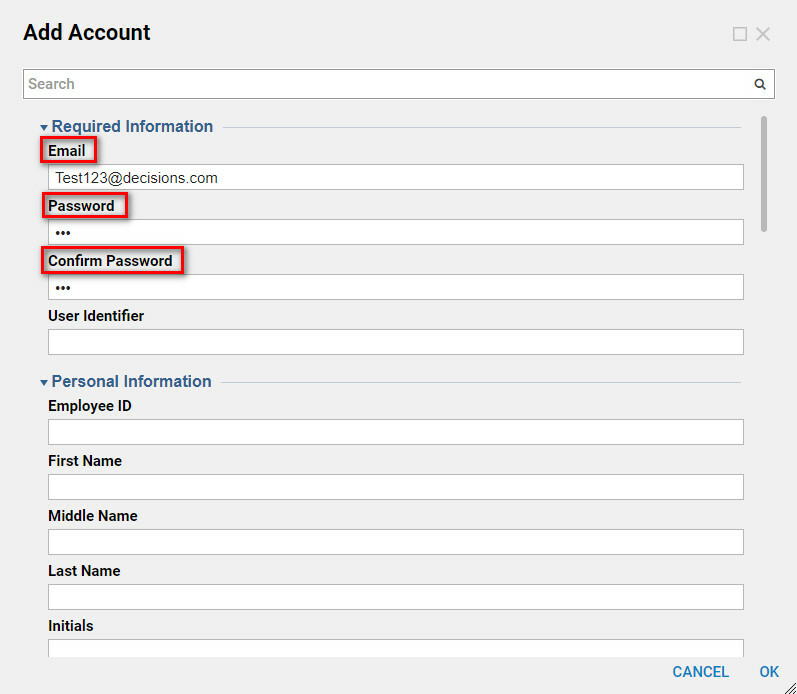 Right click on a customer and choose Add User Account, then select Create to create an Account for the customer. In the next window Add Account	and fill in the Required Information,	email, password and confirm the password). On the control instance view the newly created tenant. Start by logging out of the primary instance. 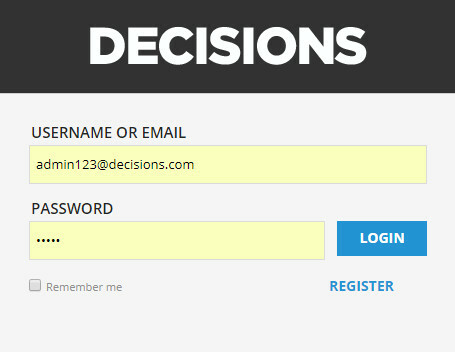 Now view the newly created tenant and log in .